A good start for Porsche at the WEC championship, even though the final hour was hard on the #91 car driven by Gimmi and Richard Lietz. They were leading almost all the race when the safety car went in due to an accident at 1 hour to go and destroy all the hopes. 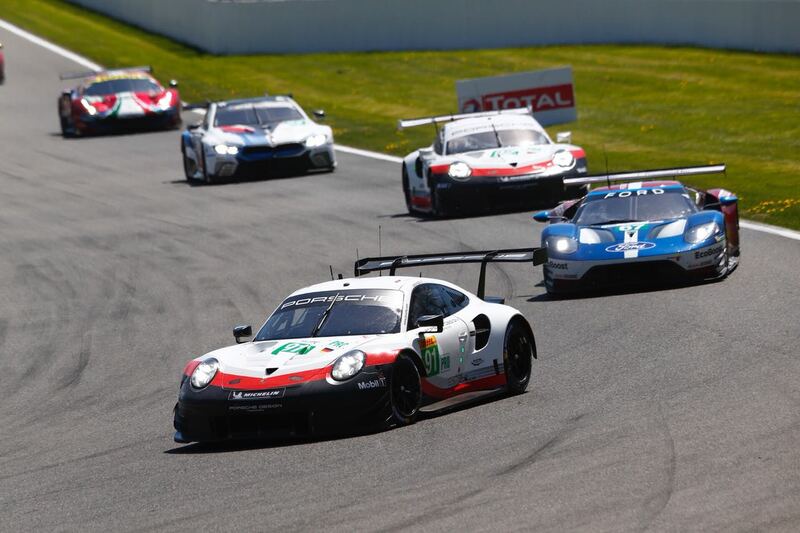 Safety car reduced all the gap that the Porsche #91 had created until that time and once the race started again with 45 min to go, the Porsche 91 suffered too much due to old tires and it couldn’t fight to keep the lead. Richard Lietz who was in the car for the last 45 minutes tried his best to keep the positions. He fought until the end for the podium but the lack of new tires influenced the performance. As for the Fia Wec regulation, every car has 4 sets of new tires to use during the qualifying and race. The strategy is very important but it is difficult to know what will happen during the race. The #91 car was running out of new tires at the end and this compromised the performance at the very end.